Summer is upon us, and with it comes sunny days by the pool, more outdoor activities and opportunities for entertaining and al fresco dining. Nothing seems to bring us together like a great meal served up fresh grilled from a well-appointed outdoor kitchen. Don’t be stuck indoors preparing meals while your guests are enjoying the party outside. Instead, take the kitchen outside! 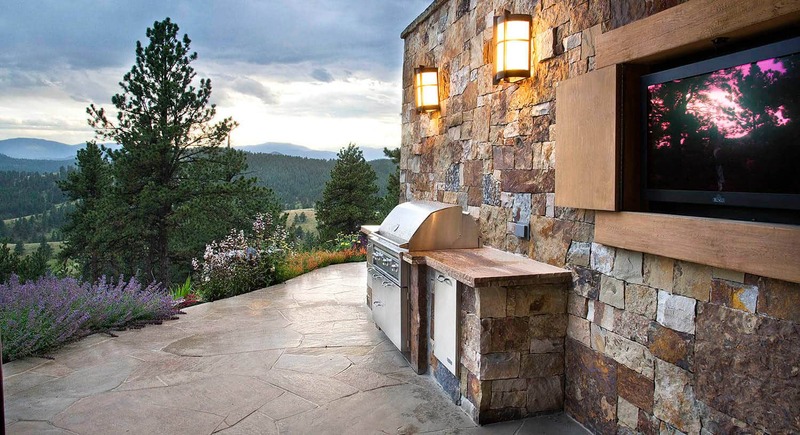 If you’ve been dreaming about that perfect outdoor kitchen, now is a great time to get started. 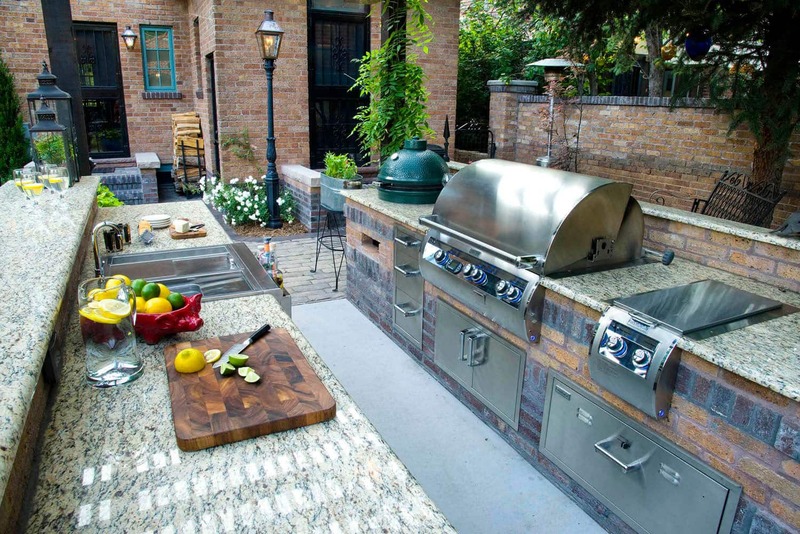 Whether you have a sprawling backyard or live in an urban area where you are more limited on space, you can have an outdoor kitchen that is right for your home and lifestyle. According to the American Society of Landscape Architects, outdoor living spaces such as kitchens and entertainment spaces ranked among the most popular outdoor design elements and, if properly designed and executed, are certain to add positively to both your lifestyle and your property value. 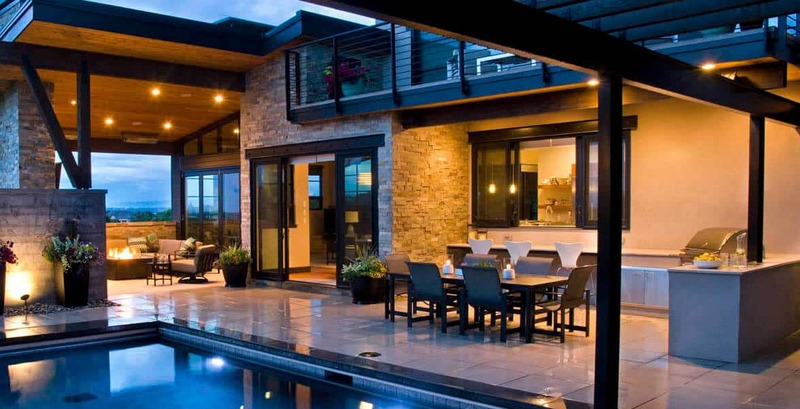 More and more homeowners want to transform their outdoor areas into genuine living spaces. This shift has resulted in the increasing availability of outdoor products geared towards entertainment. The options are seemingly endless. From the latest in gourmet cooking appliances to specialty electronics like outdoor TV’s and sound systems, you’ll be able to personalize your space with state-of-the-art amenities. Does your family enjoy brick oven pizza? Add a pizza oven to your kitchen. Our experts can help with every choice. Design for style, form and function. Your outdoor spaces should reflect your style and blend well with your landscape. Choosing materials that complement your home, such as stone, pavers, tile, etc. will make your spaces – indoor and outdoor – flow seamlessly and increase the usefulness of both areas. Make sure to let your designer know what you like to do, so they can design your space to be both functional and beautiful. Would the addition of a beverage bin or outdoor refrigerator to keep drinks cool and close help you enjoy an afternoon on the patio? Let’s design that space for you. Pleasant spring, summertime and early fall climate conditions mean plenty of outdoor dining opportunities for Colorado homeowners. Design an outdoor kitchen and dining area that accommodates your style and budget, and you’ll use it for years to come. 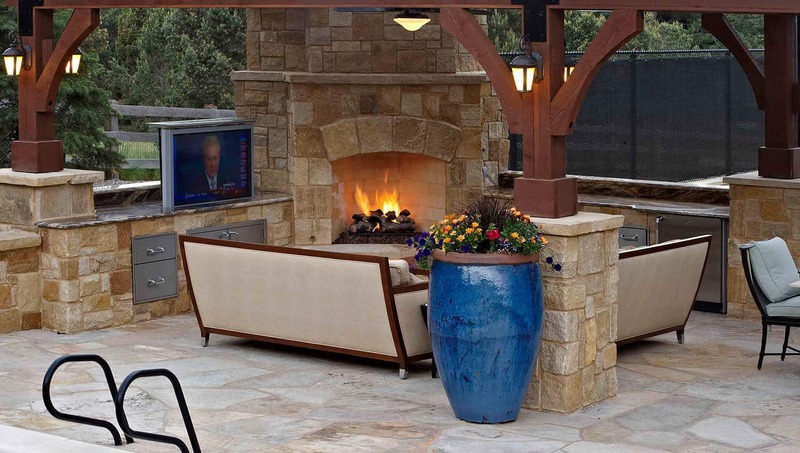 Contact the outdoor design experts at Lifescape to get started! Are you ready for a Xeriscape Landscape?